I have been doing a lot of faffing around with the Raspberry Pi but they're obviously not the only word in barebones computing. 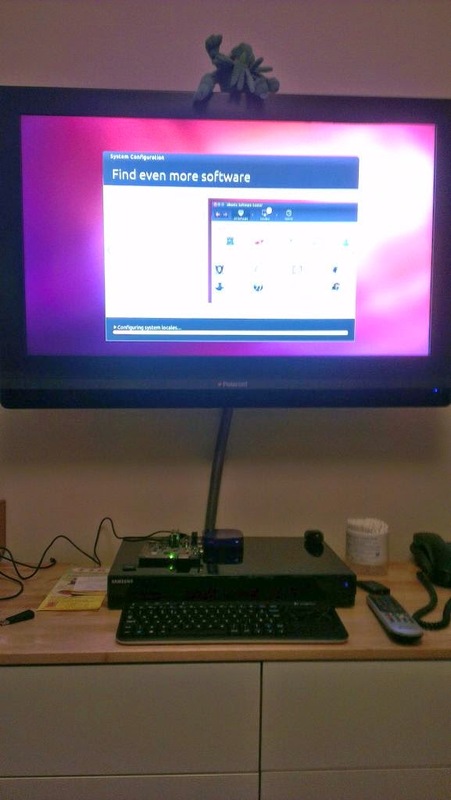 My brother loaned me a Pandaboard ages ago, finally last night I stuck an Ubuntu image on it and fired it up. It's obviously got a lot more horsepower than the Pi (Dual core 1Ghz ARM Cortex-A9) but then they are ~£120 vs ~£25. I've been doing some image processing on the Pi and it groans a bit, only really working acceptably when overclocked. I'll drag my code across to this and see how it does. PS: "Ph'nglui mglw'nafh Cthulhu R'lyeh wgah'nagl fhtagn"